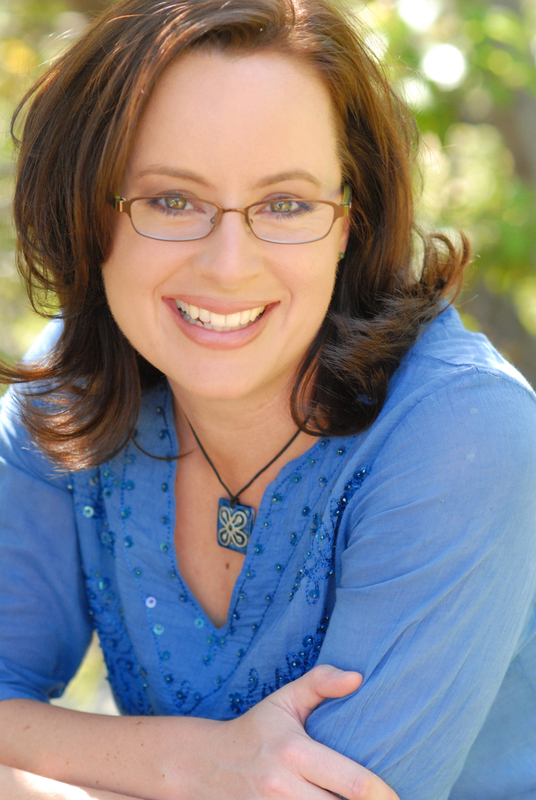 After sailing through her fascinating memoir in which issues of love, faith, work, and passion are examined, I interviewed author Lisa McKay. Lisa, who presently lives in Laos, answers questions about Love At the Speed of Email as well as the writing process, and her thoughts on traditional versus self-publishing. Below is an excerpt from her book. What drives any of us to stick with something for years when it’s not a constant carnival? For many, a need to pay the rent and eat, clearly. But that’s not all. Few of us who live in the Western world must do exactly what we do to feed and clothe ourselves. Many times our career choices are really more influenced by a cocktail of duty, fear, apathy, talent, priorities, and passion. Alternate lives, at least one or two of them, often lie within reach. Thank you so much for your time, Lisa! 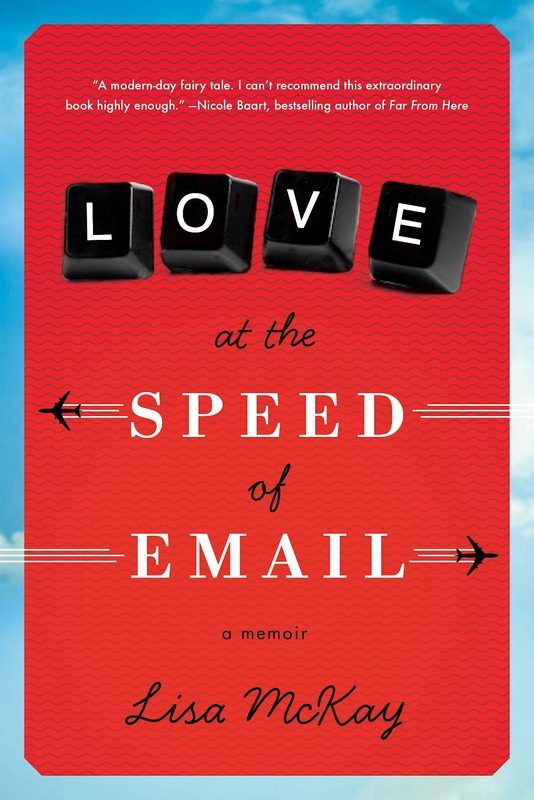 Can you describe LOVE AT THE SPEED OF EMAIL for us? Lisa looks as if she has it made. She has turned her nomadic childhood and forensic psychology training into a successful career as a stress management trainer for humanitarian aid workers. She lives in Los Angeles, travels the world, and her first novel has just been published to some acclaim. But as she turns 31, Lisa realizes that she is still single, constantly on airplanes, and increasingly wondering where home is and what it really means to commit to a person, place, or career. When an intriguing stranger living on the other side of the world emails her out of the blue, she must decide whether she will risk trying to answer those questions. Her decision will change her life. While writing your memoir, you split your time between humanitarian work in several countries while being newly married. When did you actually find time to actually do the writing? It was a challenge (although I must say I think it’s usually a challenge to find/make time to write, no matter where you’re at in life). I wrote the first draft during our first year of marriage. Mike was away for about a third of the year working on consultancies in different countries, so I had several months of free evenings. I was also only working four days a week – I had previously made the decision to drop down to 80% schedule and take a 20% paycut to concentrate on my writing. (Here I should pause to say that although that did cost us financially, it was a decision I never regretted. I loved having that extra time on Fridays). The 2nd and 3rd drafts were a lot easier to find time to work on – we’d just moved to Laos, and apart from doing some consulting all I had on my hands was time. 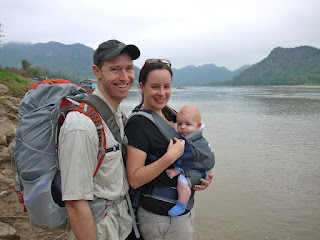 That first nine months in Laos was a huge luxury for me in that regard. What’s the hardest part of taking your relationship, analysing it, and putting it into a book for all to read? The hardest part of writing about my relationship with the man who is now my husband was figuring out what to leave out. We had written each other 90,000 words worth of letters before we ever met, and that was just the start of the raw material I had to work with. Writing about my previous relationships was harder. One chapter, in particular, I must have rewritten a dozen times. I went over that story over and over again, trying to pin down what had happened during that time and, in particular, my own contribution to the unhealthy dynamics of that relationship. How was the process of writing memoir different than writing fiction? When I was writing my first novel (My Hands Came Away Red) I found myself getting surprised by what was happening. As I figured out the “what” of plot, however, an understanding my character’s actions and reactions followed fairly naturally. Writing a memoir reversed this process. I already knew what happened – I’d lived it – but I had to work much harder to figure out what it all meant to me, then and now. The plotting process was different, too. With the novel I wrote my way into the story blind, without an outline. As I wrote, the story gained momentum as events unfolded. In contrast, I had a clear vision for the start and end of the memoir, but little idea of how I was going to get from one place to the other. Despite repeated outlines I continued to flounder in the middle until the very final drafts of the manuscript. How has the process of promoting your self-published book been different than your traditionally published novel, MY HANDS CAME AWAY RED? What role has blogging played? Self-publishing’s been more work than I had anticipated, taken more time, and has cost me more money. How’s that for a depressing summary? In all seriousness, I don’t regret having self-published this book. I’ve learned a huge amount through this experience that I’m sure will serve me well. However, I also have even more respect for the role played by traditional publishing companies now. The editing and mentoring I received during the process of publishing my first book was invaluable – I am so grateful to all the staff involved in that process. A word about money on this topic … Proponents of self-publishing often ridicule the royalty rates that traditional publishers pay (often in the range of 17%), and there is perhaps room for those to be increased. But on many versions of my self-published books I’m not earning a huge amount more than that. Amazon, for example, only pays you 35% on kindle downloads from a whole bunch of countries instead of the 70% it pays when a US customer downloads your e-book. Sure, that’s double what you’d earn if you had been published by a traditional company, but you’re also out there working to sell books without the benefit of marketing or publicity help unless you pay for it. (If you want to think more about money, jump on over to a pair of posts I wrote recently about costs and earnings associated with self-publishing. Here’s the link to the first one, Let’s talk money: What it cost me to self-publish my book). As for the role blogging has played … the blog has been a useful forum for helping me process the self-publishing journey and keeping people up to date. I also have no doubt that I’ve already reached more people with this story because I keep an active blog than I would without it. But I don’t have a huge audience by blog standards. I’m not nearly a mega-blogger, and it’s the mega-bloggers who are in a position to sell thousands of books just through the power of their own blog. So blogging for me has been something I do because I want to more than anything else, not a calculated publishing move. Do you have any words of advice for others who want to write a memoir? Tell a story: When I started writing this memoir I thought I might be able to “glue together” a whole bunch of essays and blog posts I’d previously written and call it a book. A friend and editor bluntly told me that I was neither famous nor good enough to get away with that yet and that I had to tell a coherent story if I wanted to write a memoir. He was right. If you want to write a memoir and you don’t know anything about story arc, google it (for starters). Write into the unknown: I don’t know who it was that said that if the author hadn’t discovered anything during the course of the book the reader likely wouldn’t either, but it’s stuck with me. If you want to write a memoir be prepared to do some soul searching and struggling to put into words some of your shadows and your fears. Work to learn about yourself while you’re writing. Take your time: I know some people can write a book in a couple of months. I’m not one of them. My work is always stronger when I’m prepared to edit, edit, edit, and let it sit and breathe between drafts. 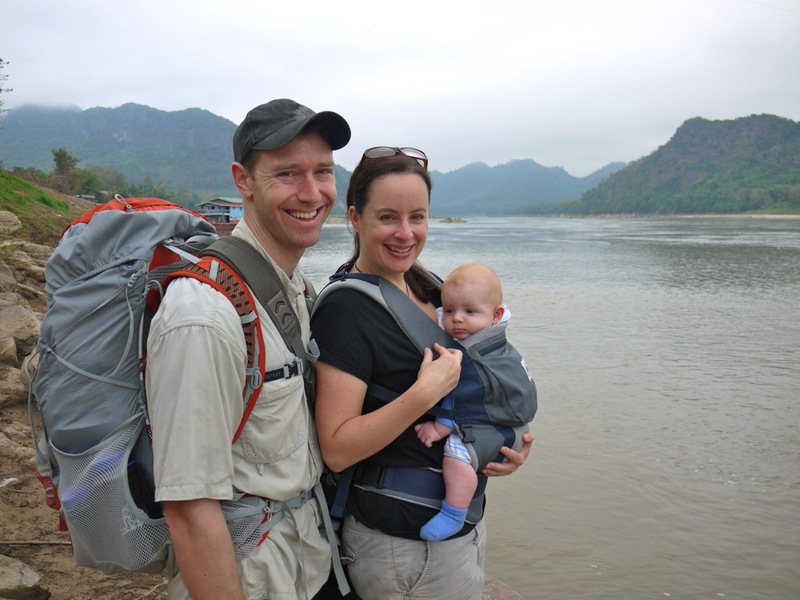 I’d love to hear about the Lao charities you support, and what you’re working on next. A portion of my profits on this book will be going to support charities operating here in Laos. The two I have in mind at present are two organizations that focus on literacy and education, Pencils of Promise and the Luang Prabang Boat Library. Pencils of Promise builds schools and trains teachers. The Library Boat carries books up and down the Mekong to villages that can only be accessed by boat. As for what I’m working on next, I’m not sure. Long term I know I want to write more books, but not in the next couple of months! A couple of things I know I will do in the next six months is guest posting to help get the memoir off the ground and starting to write more on the topic of long distance relationships. If you have a blog and you’d like me to guest post for you, do let me know! I’d love to hear from you.